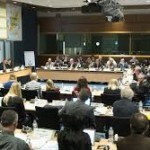 Between the 24th and 25th November 2011 a conference jointly organised by CEDEFOP and the social partners at the European Parliament examined the role and responsibilities of employers and trade unions in making the EU tools a reality for citizens. Social partner organisations from across Europe met at the conference to discuss what they expected from the EU tools and principles – such as Europass, the national and European Qualification Frameworks, validation, and credit systems – and how they can best contribute to the implementation of these tools and principles. At stake is the relevance of learning to the labour market. CEDEFOP feels that the first stage of European cooperation in education and training has been a success: with the development of common tools and principles showing that it is possible to agree on common objectives and work together. However their view is that the next few years will demonstrate the extent to which these initiatives, which aim to make education and training systems more open, flexible and understandable, can directly benefit learners and workers. How can the European tools and principles support the renewal and reform of VET and lifelong learning? How can the European tools and principles support the individual learner/employee? 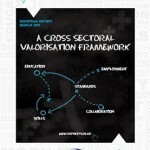 Which could be the role of sectors in taking forward the implementation of EU tools and principles? EOSE was represented by Director of Standards Ben Gittus at the event who had the opportunity to present the work of EOSE and mainly the sector approach (Lifelong Learning Strategy) developed for the Sport and Active Leisure sector to the Social Partners in attendance. The full report from the conference and presentations will be made available on the EOSE website once they have been circulated. 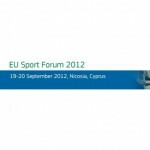 22 May 2011 EU CONFERENCE ON SPORT STATISTICS – Results now available!